Have more fun with the Boston Soul Revue ! 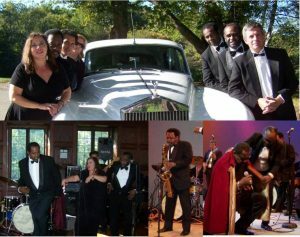 Why do you want the Boston Soul Revue for your event? For the entertainment! It’s the “real deal”. We are not your typical “wedding band” that “plays everything”. Sure, we have performed everything from Johnny Cash to Simon and Garfunkel to Frank Sinatra to Alicia Keys to Celine Dion, and more, as special requests for first dance etc., and we are ready and willing to take on any song you need us to do. But we focus on what is near and dear to our hearts, the timeless classics, everyone’s favorite dance hits of the 60’s and 70’s. From Otis Redding, The Temptations, Sam & Dave, Aretha, Wilson Pickett, Marvin Gaye, James Brown, Al Green, Etta James, on through Harold Melvin and The Bluenotes (we have the original saxophonist of the Bluenotes in our band), the Commodores, Stevie Wonder, Donna Summer, the O’Jays, and all the great disco and funky dance music of the 70s, you get the idea. People often hire us for their wedding because they have seen our live performances and tell us they chose us because they could see how much fun we were having performing, and it’s true. When the band is really enjoying the show, it always transfers to the crowd. We love this music, and put on an unforgettable show. You and your guests will feel like you’ve been transported back to the glory days of Motown, the Apollo Theatre, and the great showband ballrooms of days gone by. We have often heard from function managers at wedding venues we play at “you guys are the best band we’ve had here, why don’t we see you more often?” What they mean is, “you are the most entertaining band we’ve had…” There are many fine musicians in the New England area, highly accomplished with excellent credentials and resumes, not to take anything away from anybody. However, playing music well and entertaining a crowd well are distinct skills. We play the music well, but what sets us apart is our show. Please come and visit a live performance and see for yourself. So if you want a typical wedding, with a typical wedding band, you have come to the wrong site, but if you would like a memorable event that your guests will never forget, please contact us. “Picking The Boston Soul Revue for our wedding was one of the best decisions we made. People didn’t just say ‘that was a great wedding band,’ they said ‘that was a great band, period.’ I would definitely recommend Boston Soul Revue. feedback about the band and many had not danced that much in ages! “Pure entertainment…very professional, easy to deal with, great interaction with the crowd, always gets the crowd going. “We both want to thank you so very much for making our wedding so much fun! We truly had a blast and we know that has a lot to do with the awesome music you kept playing all night long. Many of our guests told us that it was the most fun wedding they had ever attended and they all mentioned your band when explaining why. You played a great mix of songs and we really appreciate you taking our special requests and learning new songs that were not on your play list. Your style was really fun and funky but still classy and sophisticated. We would highly recommend your band to our family members and friends. “Thank you for bringing such a wonderful performance to the town I love! Your show Monday night was, without doubt, one of the best I’ve seen in my mmphty-seven years of life. I was very impressed by the way you reached out to the audience. This is indeed a community that’s “one bit happy family” but sometimes, like all families, we need some encouragement…which you provided perfectly. I do hope Natick brings you back next year! (or this year, if that were possible)…and I’ll look forward to seeing you perform elsewhere, in the meantime. “I just wanted to tell you how much I enjoyed your band Saturday night. I was one of the bartenders and truly love that type of music and quite frankly, don’t hear enough of it anymore. All of the band members were awesome entertainment! Our 200th Bicentennial Jubilee Committee can’t thank you enough for your extraordinary performances during the evening of our celebration. The music was absolutely incredible. Our audience not only danced but loved singing to the oldies. The young at heart were also able to interact with the band as well as with each other. When the evening was ending, over 90% of our guests were still there. Over the last several months we have been stopped and been asked “when are you going to do this again?”. Never before have we had so much excitement about a community event. Your professionalism, dress code and demeanor made the evening unforgettable, with approximately 400 people attending our function at the new WGBH studio; it was a night to remember. Having so many distinguished guests attending, the mayor, our elected officials, and so many others, it was imperative to have a band capable of improvising the music to their entrances and exits. Boston Soul Revue’s sense of timing was impeccable. They stimulated the audience when needed and relaxed them when necessary.